Is Your Company Prepared for 2018? In less than six months, the life science industry will be facing a financial crossroads. As the New Revenue Recognition Standard is implemented, companies will be choosing their integration method and revising many financial analyses of the past few years. Navigating the NRRS in full retrospective means working backwards. The aptly name method involves re-analyzing and recasting financial statements from previous fiscal years. This would involve implementing the NRRS in 2018 to recast statements from 2016 and 2017 to better analyze and forecast fiscal year 2018. Though this method would include a complete overhaul of accounting processes and systems from the past 12-24 months, this ensures that new recognition processes are comprehensive and aligned with the guidance for the 2018 deadline. Retrospectively enacting the standard in previous contracts, financial assessments, and revenue streams may better prepare companies for accounting practices and industry-specific guidance updates in 2018. Companies who choose to implement the New Revenue Recognition Standard without redefining financial analyses will be introducing the legislation through a modified retrospective. This method involves recognizing the cumulative effect of initially applying the standard as an adjustment to opening retained earnings. Under a modified implementation, any revenue already collected and recognized under previous revenue recognition standards is not subject to the new laws. For life science companies, completed and complete contracts is a complicated issue. Many larger companies form multi-year partnerships which produce an income over a prolonged period of time. Total incomes not yet collected may be subject to a recalculations. As the New Revenue Recognition Standard takes effect in 2018, most financial processes will be redefined. The new standard may increase annual fiscal totals due to changes in reporting time frames. This may impact the ways in which financial outcomes are reported to potential investors or public stock information. Accounting systems and processes impacted by the New Revenue Recognition Standard are vast. Though the new standard may outwardly change revenue reporting, the many effects of this change require a comprehensive implementation strategy. 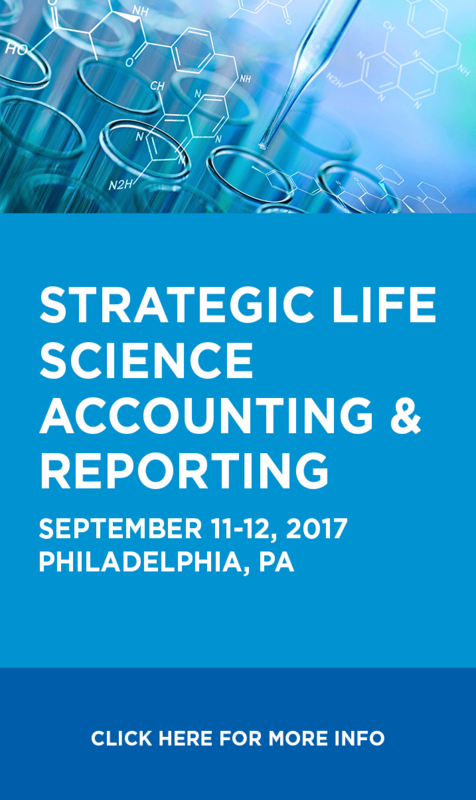 To learn more about the New Revenue Recognition Standard, implementation methods and accounting impacts across the life science industry, register for the Strategic Life Science Accounting and Reporting Conference, September 11-12 in Philadelphia, PA.